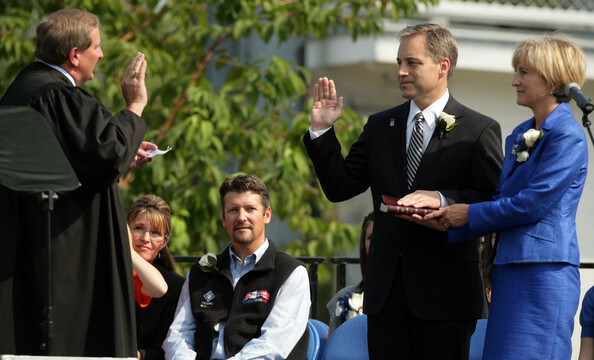 An Alaskan state investigation concluded today that Gov. Sarah Palin abused her power when she fired her public safety commissioner in July. Today the Los Angeles Times published an article by Stephen Braun, Tom Hamburger and Chuck Neubauer which directly contradicts Alaska Governor Sarah Palin’s claims to be a public official who is always there for the working class “Joe Six-Packs” and everyday “Hockey Moms,” not ‘big business interests.’ Unless, of course, the “Joe Six-Packs” Gov. Palin is referring to are chief executives from corporations such as Exxon Mobil, ConocoPhillips, and lobbyists from Enstar, a large gas company. Big business was granted wide access to Sarah Palin’s office during her first 20 months as Alaska governor, but she rarely met with labor, environmental or other groups pressing alternative views, her official calendar shows. On at least three dozen occasions, Palin, now the Republican vice presidential nominee, spoke with executives and lobbyists working for an array of energy, mining and tourism firms with major investments in Alaska. Among those who visited Palin’s Juneau office multiple times were the chief executives of Exxon Mobil and ConocoPhillips, as well as several dozen other top oil and gas company officials. “We have not had problems with access to Gov. Palin or her key department people,” said Ashley Reed, a lobbyist who was on a team of natural-gas officials who met with Palin in April 2007. Reed was working with Enstar, a gas firm seeking approval for a natural-gas “bullet” pipeline. Despite that access, however, Palin has cut an independent course on oil and gas issues — which has won wide acclaim from Alaskans. She forced the companies to share windfall profits with the state, moved to pull the lucrative leases of those that were not actively exploring for oil and chose a Canadian firm to manage a major gas pipeline project. Still, Palin has held few meetings with groups holding alternative views. Her calendar shows that Palin met four times in those 20 months with officials from the Teamsters, who endorsed her 2006 gubernatorial bid, and the AFL-CIO. She also held two sessions with members of a conservation group seeking state support in addressing climate change — an issue on which Palin does not see eye to eye with environmentalists. “I don’t think we’ve had the time we need to press the importance of our issues,” said Kate Troll, executive director of the Alaska Conservation Alliance. The activists have not been granted a follow-up to a February 2007 meeting with the governor “despite multiple requests,” said Peter Van Tuyn, an Alaska environmental lawyer. According to her calendar, however, Palin has met with more than a dozen registered lobbyists since taking office in December 2006. Though some veteran lobbyists have complained about being effectively barred from Palin’s office, Reed and several others said Palin’s aides were aware before the meetings that lobbyists would be coming. “My personal experience is they’ve always welcomed discussions,” Reed said. In several cases, registered lobbyists met with Palin and returned for second sessions. Robert A. Evans, a veteran lobbyist in Anchorage, and several Safeway supermarket executives met with Palin on April 17, 2007. Eight days later, Evans returned to her office with a team of executives from Agrium, an ammonia and fertilizer operation. Lisa Parker, an Agrium executive who also is a registered lobbyist, was among them. Evans confirmed the meetings but otherwise declined to comment. The Times obtained Palin’s calendar under a Freedom of Information Act request. The governor’s office turned down a similar request for calendars and schedules pertaining to her husband, Todd Palin, who reportedly has played a prominent role in her decision-making. Gov. Palin’s office said her husband does not keep a calendar. In addition to meetings with big business and lobbyists, Palin’s calendar indicates that she filled her daily schedules with dozens of media interviews. That access seems a far cry from her recent complaints that the national media has “filtered” her message as a vice presidential candidate. According to aides, Palin wooed reporters in Juneau with plates of brownies and telephone calls on their birthdays. Courting the Alaska press proved to be a key component of her soaring popularity in the state — long before she struggled during interviews with national television anchors Katie Couric and Charles Gibson. “She craved publicity and the poll ratings that came with it,” said Larry Persily, a former Alaska journalist who worked for Palin in Alaska’s state office in Washington until earlier this year. The calendar also details Palin’s frequent stays at her home in Wasilla, Alaska — which became a source of controversy when it was learned that she collected per diem allowances while away from the governor’s mansion in Juneau. Palin received a $60 stipend for each of the hundreds of days she worked out of Anchorage and stayed at home, about an hour away. Alaska officials said she is entitled to the per diem when she works outside the state capital, and Griffin added that Palin has spent much less on travel and security arrangements than her Republican predecessor, Frank Murkowski. 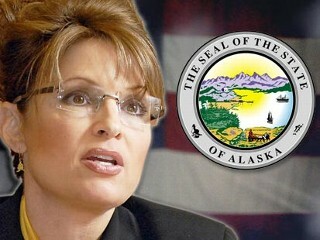 Palin collected the per diem for six days around Christmas 2007 when she had no events listed on her official calendar. She was paid for Christmas Eve and New Year’s Eve but did not seek stipends for Christmas or New Year’s Day. Her official work away from Juneau for which she received stipends included visits to libraries in Wasilla and nearby Palmer, a stop at the annual Bear Paw Festival in Eagle River and attendance at the Moose Dropping Festival in Talkeetna.